VAN is the technology backbone of nearly every Democratic campaign and progressive organization in the country. Every day from now until November, thousands of organizers and volunteers will use VAN to manage key aspects of their work - but we know that it hasn’t always been easy for people to jump right into the work they need to do. That’s why we built Dashboard. Dashboard is a powerful new feature designed to help VAN users get to work faster. 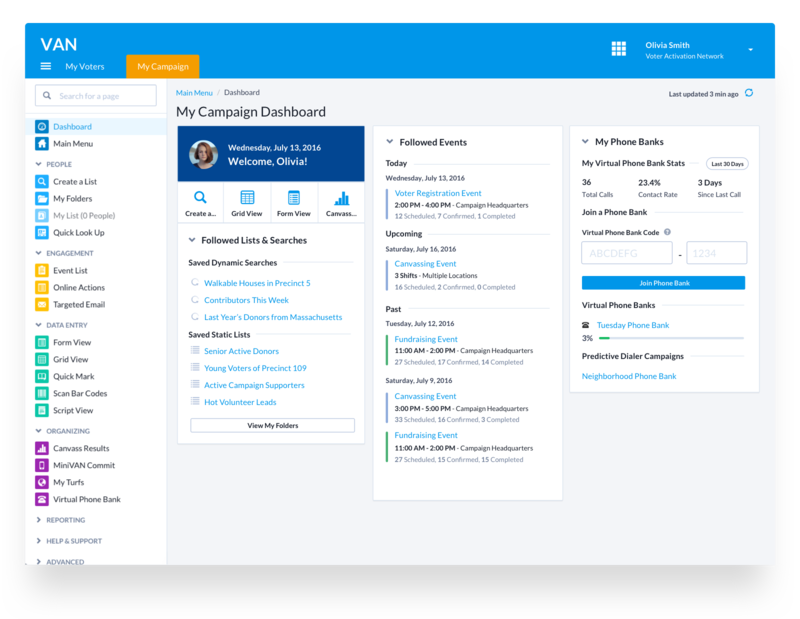 You’re never more than one-click away from your most important lists, searches, events, phonebanks, and more. Quickly access top metrics, data-entry forms, and search functionality from one page. With Dashboard, we hope to make it easier for organizers and volunteers to get the job done. Follow and unfollow lists and searches from within your folders to customize the lists and searches you see on your dashboard. Dashboard will display up to five recently followed lists and searches for quick access. Follow and unfollow events from the event page to customize the events you see on your dashboard. Additionally, events you create, edit, or schedule signups for will be auto-followed. Up to five followed and auto-followed events that have occurred in the last seven days, or that will occur in the next seven days appear on your dashboard. You will see the event name alongside event location, time, and quick stats about participants. 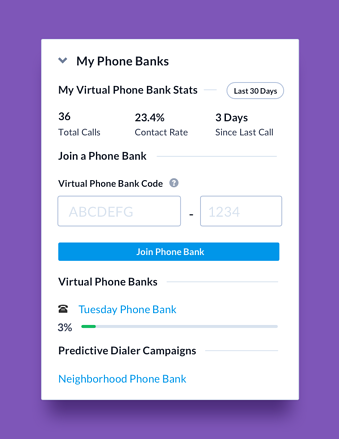 Virtual Phone Banks and Predictive Dialer campaigns that are assigned to you, active, and available will appear on your dashboard. We’re also surfacing helpful stats about your recent VPB calling such as how many total calls, contact rate, and days since your last call. You can also quickly join a VPB with a VPB code. Our team started researching concepts for Dashboard more than a year ago. We went through hundreds of design iterations, hours of in-depth interviews with organizers, volunteers, and other users of VAN, and conducted numerous usability tests. We continued to iterate on our designs until we found something that we felt would really improve the experience of our users. Dashboard is available now with additional updates coming later this year. Let us know what you think! Click here to email us your thoughts and suggestions, or tweet us @NGPVAN. We’d love to hear from you! 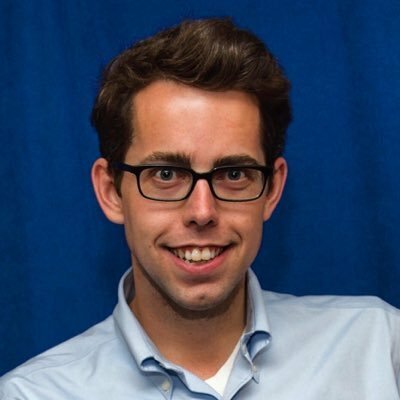 The Author: Justin Lewis is Director of Design for NGP VAN. He originally founded NationalField and built tech for the 2008 Barack Obama campaign. He was also featured in Forbes 30 Under 30.